Have you ever had a terrible, horrible, no good, very bad day? A day where you felt like you failed so many times and in so many different ways? Yesterday was like that. In fact, it was so terrible, horrible, no good and very bad that it has been very hard to bounce back. In this world, we are constantly bombarded with the phrase “I’m not perfect” – so much so that we often use it as an excuse not to be. Hey, I am just as guilty as the next person here. I think I even said this yesterday. But saying “I’m not perfect” is not good enough. We need to strive to be more Christ like in every aspect of our lives, and wasn’t He perfect? Of course we will fail. I think that is the whole point. We fail repeatedly but God’s grace allows us to pick ourselves up and try again. It’s like running a race we will never win – and knowing we will never win it – yet every time we fall and seem to get behind, we pick ourselves back up and keep on running. We might not be perfect, but we are perfectly broken. 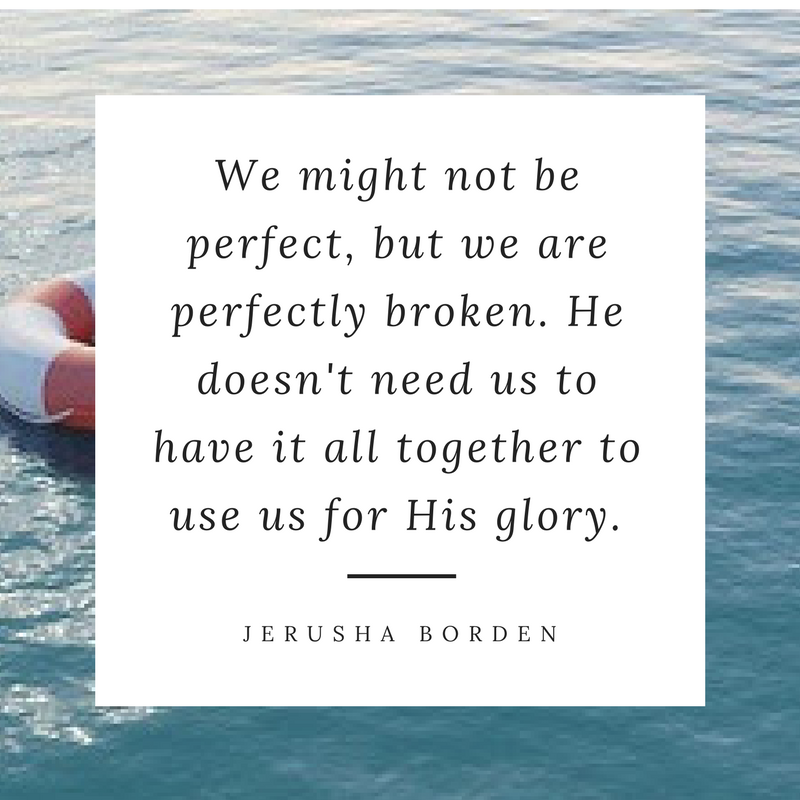 He doesn’t need us to have it all together to use us for His glory. Isn’t that an amazing thought? Here I sit, a massive failure. I’ve said and done some pretty bad stuff in my lifetime. I know I am not alone in this boat – you’re sitting here right with me and we’ve got matching life jackets. 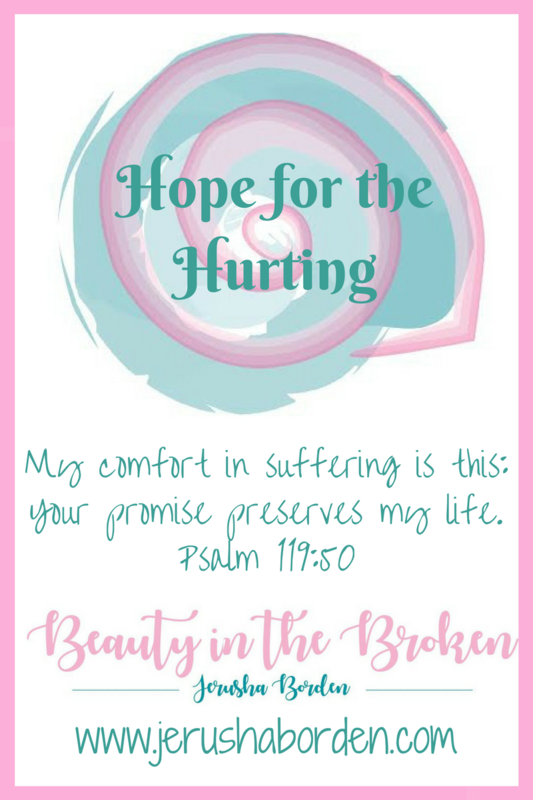 But the real truth – the refreshing, undeserved truth – is that no matter how many times I am in that boat, wallowing in despair because I have made some wrong choices and it’s wreaking havoc on my life, He comes to my rescue. And not just when I have made bad decisions. He cares about every aspect of my life. Any hurt or pain that I feel. Any trials that I face. Any joy that I experience. When I feel the sting of rejection, He is there. When I have hurt someone with my words and am feeling desperate to make amends, He is there. When I am in the valley, He is the light. When my heart is bursting with happiness, His is too. The old has gone, and the new has come. That means when you have bad days, you need to ask for forgiveness and move on. Yesterday is not today. The old has gone, the new has come. Today is a new day to strive to be perfect — and when we fail, because we know we will, His grace will be our rescue.